This is a bit of what we recommend to experience in Lærdal and the area. Only about 3 miles away from Lærdal. Built around 1180 and is dedicated to the Apostle Andrew. 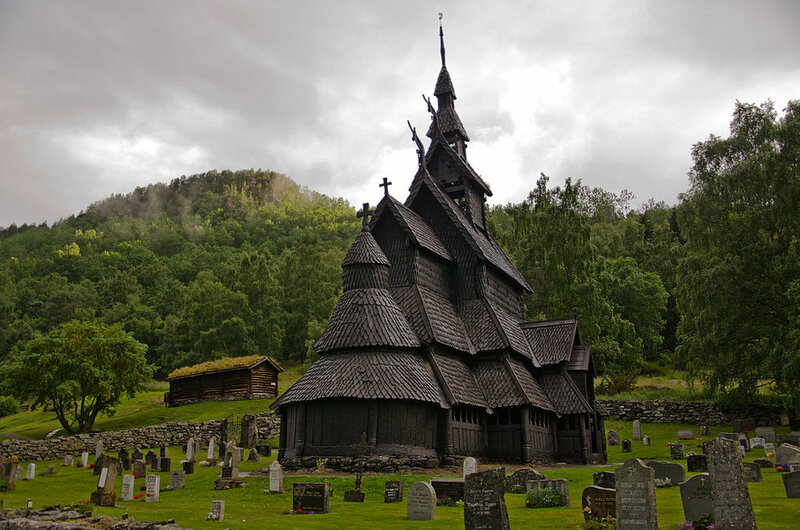 The church is exceptionally well preserved and is one of the most distinctive stave churches in Norway. Definitely worth a visit! Storehaugen is a great hiking trail where you get a panoramic view of Lærdal. It is located within walking distance of Lærdalsøren Hotel. You can experience this spectacular view in a rental (sports car) from Lærdal. Along the Jæren coastline, you can follow paths that people have walked before you thousands of years ago. You get to see remains of the prehistoric sunken road and the historic Kongevegen (the Royal road/King's road) from the 1600s. Parts of the hike follows partially this road, and has therefore been named "Kongevegen" (the Royal road/King's road). Some of the ancient tracks are still visible. Lærdalsøren Hotel can assist with shuttle to this road.